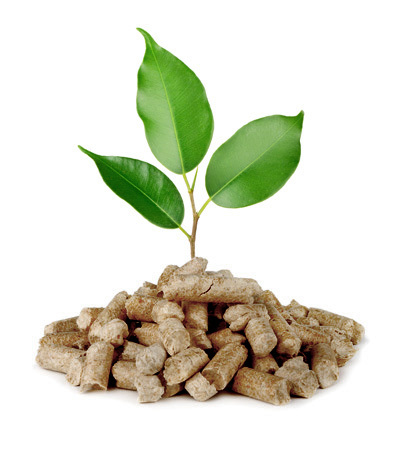 Pellet is the fuel that saves energy and at the same time safeguards the environment. It is a wooden cylinder born from the pressing (very thrust) of virgin wood previously pulped. Thanks to the pressing , the calorific power of the pellet,is about twice as much as the firewood ,with the same volume but not the weight. The pellet doesn’t require any type of binder or additive and must be used in suitable and certified stoves. The pellet quality is an essential factor, both as regards the energy yield of the product that for a correct operation of the combustion source. In fact, there are several certification protocols that involve all aspects of pellet quality starting from the raw material up to the finished product. The Pellet4u product is certified ENplus A1, the most acclaimed pellet quality certification system in Europe. It expresses the energy yield of the product. To be certified ENplus A1, a good pellet must have a minimum calorific power of 4.60 kWh / kg. PELLET4U has got a much higher certified value. It expresses the maximum burning of pellets. To be certified ENplus A1, a good pellet must have a residual ash maximum of 0.7% by weight with respect to pellet burnt. It expresses the residual moisture content after the drying step of the chip, however necessary to guarantee the compactness of the pellet. To be certified ENplus A1, a good pellet must have a maximum residual moisture content of 10% by weight with respect to the burned pellets. PELLET4U has got a certified value far below 10%. Compared with the previous requirements, this is the only one that does not fall into the ENplus certification parameters or other Institutes and is therefore not a pellet quality index. The pellet color may vary from a light (beige) shade to a darker shade (hazelnut). This variation depend on the trunks seasoning and the presence or absence of bark. Thanks to sophisticated systems, it is possible to use whitening agents with the aim of make the dark shade of the pellet clearer, but without improving its performance. PELLET4U is made of 100% coniferous wood. Poor pellet quality can cause a number of disadvantages that can affect both the heat output of the plant and the integrity of the boilers causing deposits, corrosion and combustion difficulties.